The purpose of making a Will is to safeguard your family, wealth and wishes. The website details what to do if there is a Will, and if there is no Will. For probate matters, our firm charges an hourly rate plus a separate charge linked to the value of the Estate in accordance with guidance and suggested rates featured in The Laws Society’s (2015) Probate Practitioners Handbook (7th edition). We will also inform you of any anticipated third-party disbursements. Common ones in Probate matters are £157 for the Probate application fee and copies, £5 for the application to be Sworn by each Executor/Administrator and £2 for an exhibit. ‘When someone dies, you’ll need to get the legal right to deal with their property, money and possessions (their ‘estate’). You can also apply to a court to help someone make decisions if they don’t have mental capacity now. 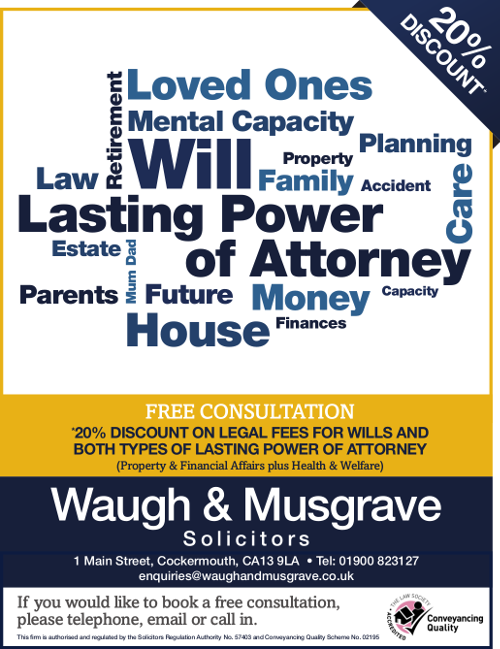 The Law Society guide below although titled ‘Financial matters for older people’ does explain the different types of Lasting Powers of Attorney and the information you will need, which applies to adults of all ages. Essential information and forms are also featured at Gov.uk simply search ‘Lasting Power of Attorney’. If you decide to instruct a solicitor to create and register a Lasting Power of Attorney, we do offer a fixed price service.